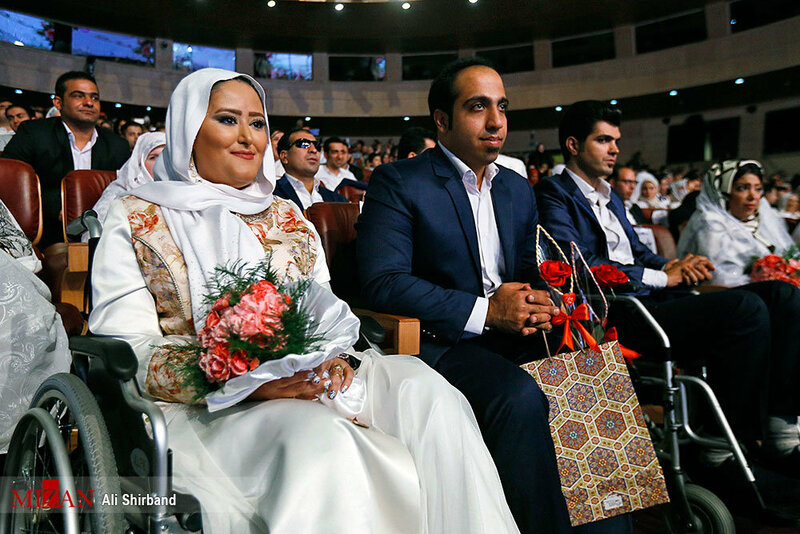 Some 110 couples with disabilities celebrated their wedding during a ceremony held at Milad Tower in Tehran on Monday, Tasnim news agency reported. The ceremony called Mehraneh (literally meaning kindness) was held concurrent with the International Day of Disabled Persons. Annually observed on December 3, the International Day of Disabled Persons was held this year under the theme of empowering persons with disabilities and ensuring inclusiveness and equality. Anoushirvan Mohseni Bandpey, head of Welfare Organization, Ali Hemmat Mahmoudnejad, director of the Iranian association for rights of persons with disabilities, and some officials and representatives of Municipality of Tehran and the Welfare Organization also participated in the event.